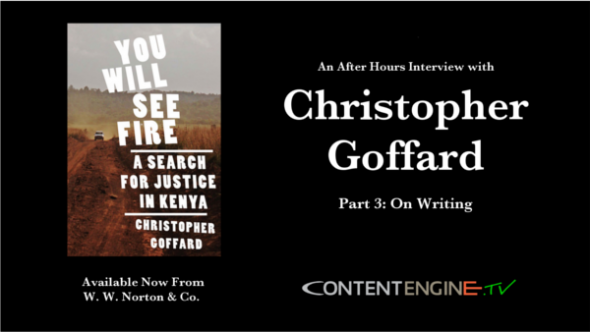 ContentEngine.tv brings you Part 3 of its After Hours interview with Pulitzer Prize-winning journalist and author, Christopher Goffard. 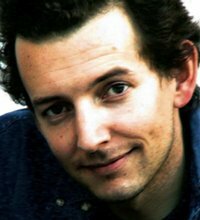 Here, Christopher discuss his writing process (“thousands of pages are scrapped”); the disparity between writing works of fiction and non-fiction; his cinematic and visual writing style that makes his non-fiction work, “You Will See Fire,” read like a novel. Chris is a reporter for the Los Angeles Times and the author of a novel, “Snitch Jacket,” which was nominated for an Edgar Award and is currently being packaged as a feature film.